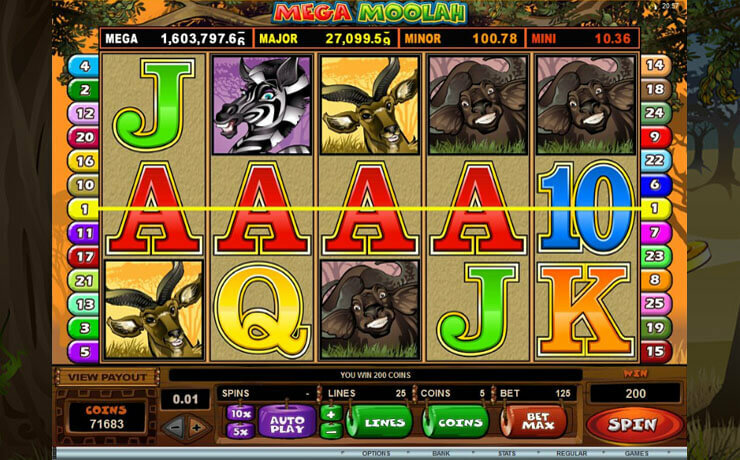 Bask in the warm rays of the hot African savanna sun with Mega Moolah slot, one of the high-quality slots that you can find on HappiStar. 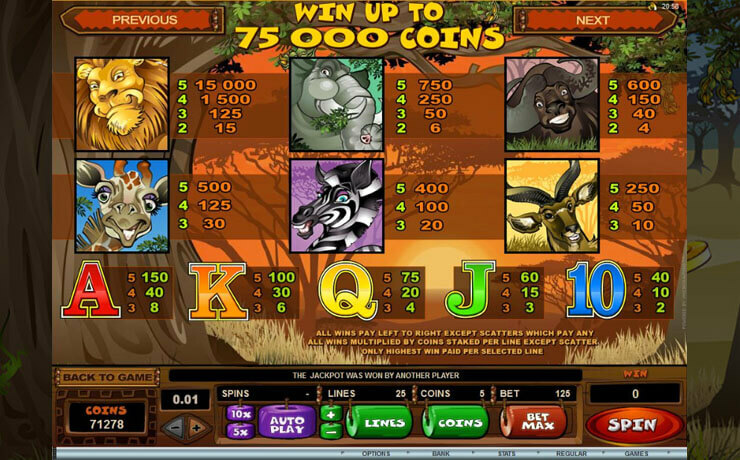 This hotshot jackpot slot by Microgaming features a five-reel and 25-payline layout within which ibis, zebras, giraffes, buffalos, elephants, lions, and four jackpots exist together in harmony. You can get up to 15,000 credits when you chance upon five Lions in a combo. The Lion symbol also doubles your win when combined with a Wild. Other icons such as Antelope, Zebra, and Elephant pay off up to 250x, 400x, and 750x multipliers, respectively. On the other hand, Purple Monkeys act as the game’s Scatter symbol which activates the Free Spin bonus round. In this round, you can get retriggering free spins. All your wins from this mini-game are tripled. 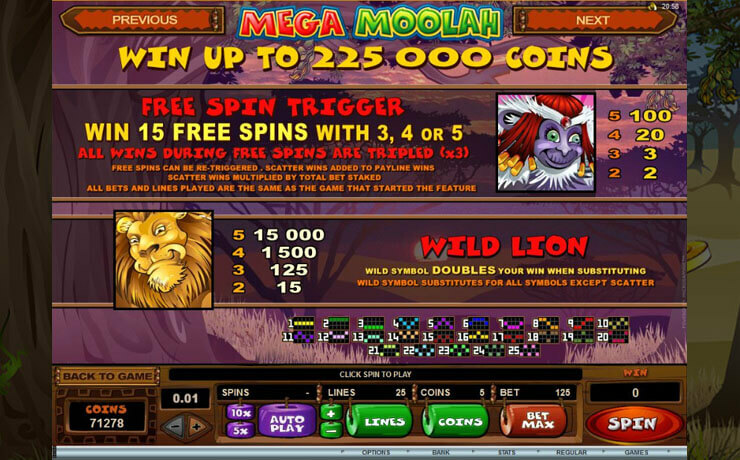 A more fun and extra rewarding betting action begins when the Mega Moolah Jackpot Wheel appears randomly on the screen. 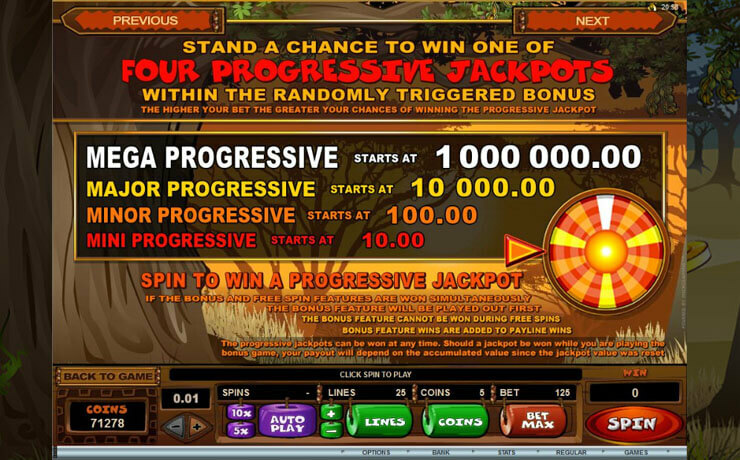 Spin the wheel and get the chance to win the game’s four impressive progressive jackpots – Mini, Minor, Major, and Mega – which start at 10, 100, 10,000 and 1,000,000 credits, respectively. Note that these jackpots build up until someone wins, giving you the chance to earn millions. 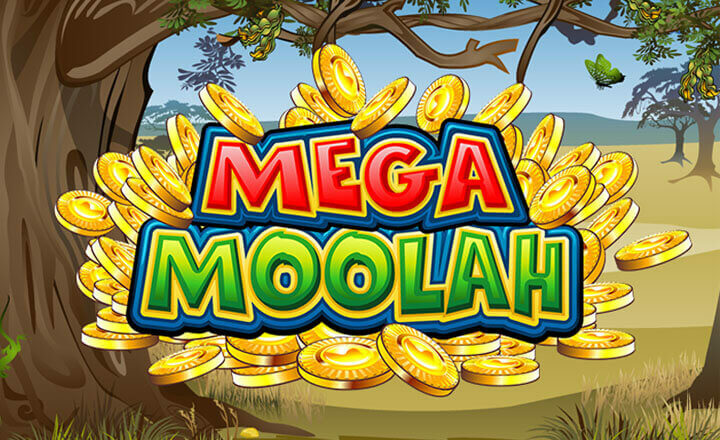 Mega Moolah offers the best of both worlds by offering an appealing combination of four superb jackpots and enticing mini-wins. Explore the secrets of the jungle and let the adventures begin by spinning this fun game today.